The controversy surrounding Sgt. 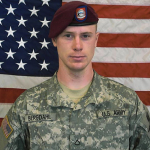 Bowe Bergdahl has been as notable for its moral poverty as its rhetorical intensity. Conservatives have branded Bergdahl a traitor, hardly worth the five Afghan detainees for whom he was traded. Liberals have defended the exchange while stopping well short of defending the man himself. But if Bergdahl did indeed desert his unit while serving in Afghanistan, he is guilty only of acting on anti-war convictions most Americans claim to share. That Bergdahl’s homecoming has been met with such disdain exposes the shallowness of anti-war sentiment in the United States. Two-thirds of Americans say the war in Afghanistan has not been worth the costs. Nearly 60 percent believe it was wrong to have invaded in the first place. Yet present them with a soldier like Bergdahl, who reached similar conclusions and may have actually dared to act on them, and he is condemned on all sides. This, in the eyes of the political establishment, is Bergdahl’s greatest crime. Not that he endangered his fellow soldiers – who, as occupying troops in a foreign land, were already in grave danger – but that he refused to put his conscience on hold. Rather than waiting for the politicians back home to end the war, Bergdahl stands accused of declaring his own war over. Rather than resigning himself to what Israeli peace activists call “shooting and crying,” Bergdahl appears to have stopped shooting. This should be shocking in a country with an anti-war majority. But while most Americans claim to oppose the war, they remain unable to countenance the sort of actions that ending the war will require. The polite protests of the last decade – petitions, sit-ins, marches – have done nothing to stop the war machine. Americans forget that ending the Vietnam War had less to do with domestic protests than with resistance among U.S. troops, who deserted en masse, refused to engage the Vietnamese in battle, and even took up arms against their own officers. Such an attitude is particularly shameful given that the American public bears a large share of responsibility for Bergdahl’s predicament. Every day that people on the home front prove unable or unwilling to stop the wars fought in their name, they leave those on the front lines stranded in what psychiatrist Robert Jay Lifton has called “atrocity-producing situations.” Tortured by their moral complicity and abandoned by the public, it should come as no surprise that some troops will avail themselves of the only option left to them – voting with their feet. THIS Exposition on the HYPOCRISY of the American POPULATION itself — far beyond the punditry, the media, the “powers-that-be” , the government, the corporations — but the AMERICAN PEOPLE”s OWN hypocrisy is the TRUEST article I have read concerning “america” itself and ITS war CULTURE — which resides IN americans themselves, exemplified by how easily they can traverse the dichotomy described in that hypocrisy of being “anti-war”, “peace-loving people”…YET unwilling or unable to confront their own personal and collective hypocrisy as a “nation”. ARE inherent in americans as a people BECAUSE of their own myths and beliefs — INCLUDING being “peace-loving” or “true patriots who don’t like going to war” BECOMING PART of their own collective and methodical cultural way of convincing each other that “we are peace-loving”. this article comes CLOSE to my suspicion about americans – as a nation and culture — as , contrary to what even great writers like Justin Raimondo say are “really peace-loving and against war”. the PROOF does NOT exist that Americans — as a people, nation, and population at large — with or without their “war institutions” — actually HAVE BEEN the “peace-loving” people that they are CLAIMED to be — and claimed to be “merely misled”. but even more so in the REPEATED penchant of americans to support “the troops” or wars or “defending america”, or “upholding america” – UNTIL such “wars” or adventures turn Dismal FOR Americans — and then it becomes “not worth it”! but the MOMENT it is FELT “at home” some way that WAR is “too costly” — it becomes “not worth it”. A PEOPLE can not be said to be “against war and love peace only” When it can JUSTIFY one way or another its own country’s imperial adventures , whether or not that people THINK Of it as Imperial or merely “defense”. it is EITHER you PERMITTED it to grow as a part of your country’s culture — or NOT. “All our traditions, our beliefs, our Myths, our Patriotisms, our professions of Nationhood , our Parades, Holidays, Celebrations, Flags, all our Traditions and Discussions, all our ways of telling each other about our greatness and goodness and being civilized , all our Claims about the superiority of our american way from the times we took the Land of the Natives — are only our COLLECTIVE WAYS of BURYING OUR SINS AS A NATION”. Dear Mr. Kovac, Thank you for writing one of the most thoughtful articles about Bowe since we all learned his name while he sat in a white Toyota pick-up, waiting to be rescued, somewhere in Afghanistan. Please try to get your article to Bowe so that he might have some hope that there are many of us who support him and are happy that he is back home.